Ladies and gents … I’m in love! 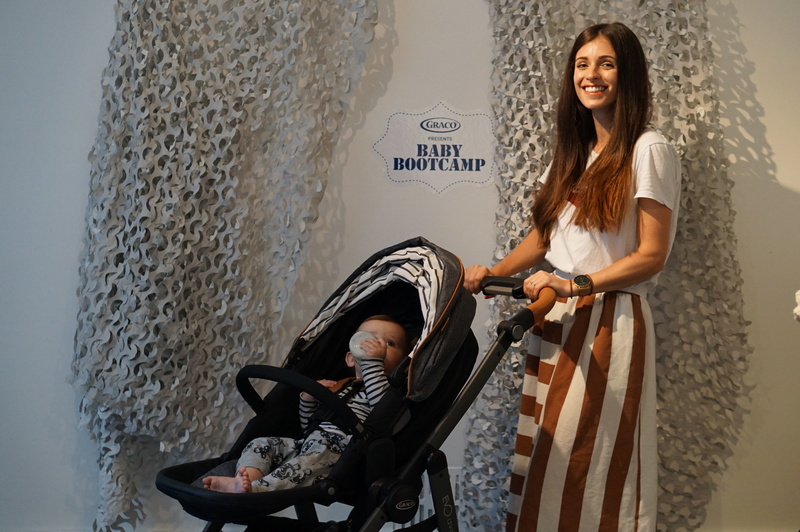 Breton stripes have been a firm staple in my wardrobe for years and now they get to be a staple part of my pushchair life too – introducing the Evo Avant Travel system by Graco. 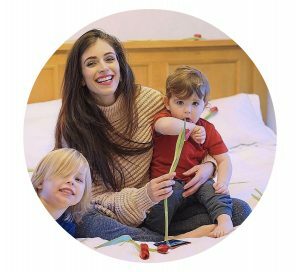 You guys may know that I’m a 2017 Generation Graco ambassador and as part of my role I get to review a range of their fab products – well this definitely has to be my favourite so far, it’s one of the first that I was sent to test and I haven’t looked at another pushchair since … I mean look at those stripes! The Graco Evo Avant is the complete pushchair package, not only is it practical but it’s stylish too for the modern day muma! 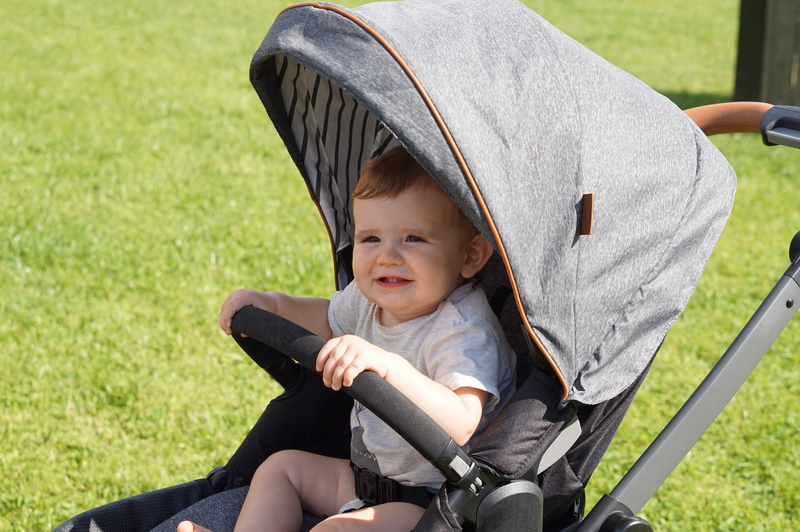 It’s suitable from birth when used with the carrycot (sold separately) and caters to your little one up to a weight of approximately 15 kg; converting between the two with a few quick clicks. It’s a fully functioning travel system when teamed with the Graco Snugride iSize baby carseat which you can read all about here; so it has literally got you covered for your whole travel experience from the minute your bambino is born to the moment they wish to run free on their teeny tot legs! 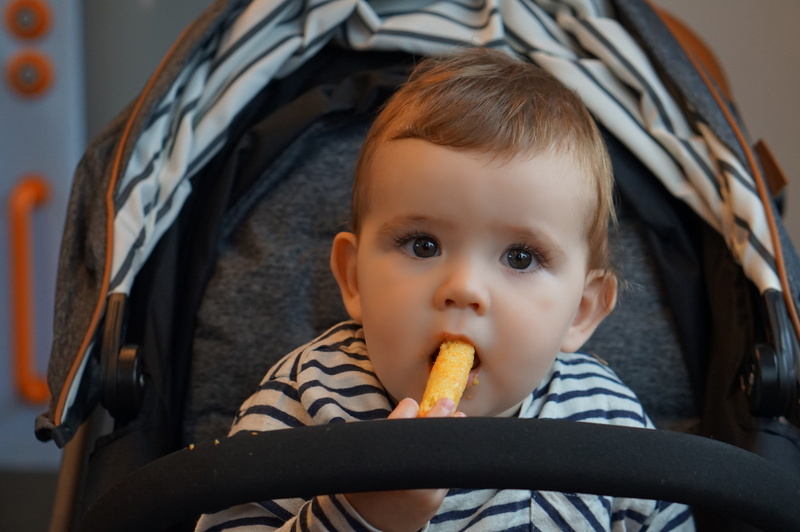 What’s fab as well is that you don’t need any adapters to switch between the carry cot, seat and car seat – such a life saver for a mum on the go! 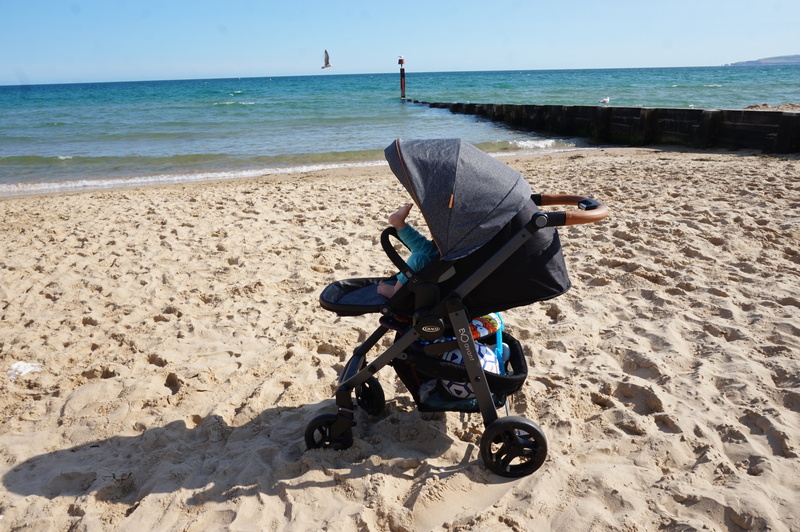 The Evo Avant retails at £360 and is available in Black Grey, Ocean, Java and Cranberry and also exclusively to Mothercare in Breton Stripe … my fave of course! Padded seat unit in a gorgeous grey marl effect – which also wipes clean amazingly! Once out of the box it was a simple task of popping on the wheels and slotting on the seat unit – no screwdriver required! 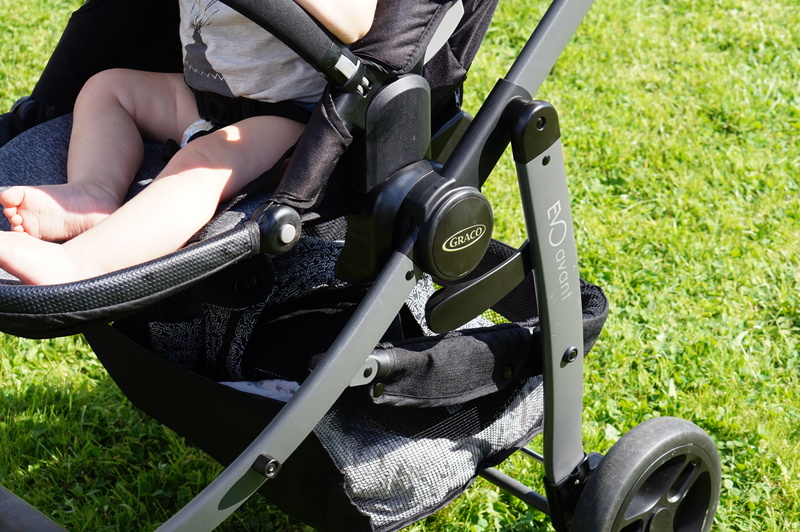 The one hand fold makes this such an easy pushchair to to fold away and even opening it out takes only unclipping the clasp and pulling open the pushchair until it clicks into place. It’s super easy to navigate up and down pavements and in and out of shops and getting Jenson in and out has been a breeze. I do find 5 point harnesses a little trickier to do up than 3 point ones but as long as he’s not wriggling to get free it’s super easy! Roomy basket – we took it to the beach ( it navigated pretty smoothly over the sand) and fit all of our beach towels and essentials in it! None that I have found! I’m absolutely loving using the Graco Evo Avant pushchair and I get so many compliment son it when I’m out and about … mainly on the stripes! I would definitely recommend this for either the whole travel system if you’re expecting or if your little one is already here just for the pushchair as for the price it is just amazing! May we share these pictures on our instagram Account?